The book, and accompanying Educator Strategy Guides, written by and for educators, examines student well-being and its relationship to achievement and later life success. It covers the challenges in promoting student well-being in an educational setting and outlines the rationale for a new way of approaching education: The Third Path. 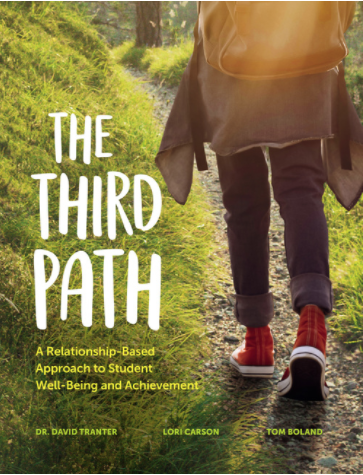 The book outlines the Relationship-Based Approach to education, and the eight Conditions that make up the Third Path -- the conditions that simultaneously support well-being and achievement. The book is available on its own, bundled with the Strategy Guides, or as a 5-pack set.